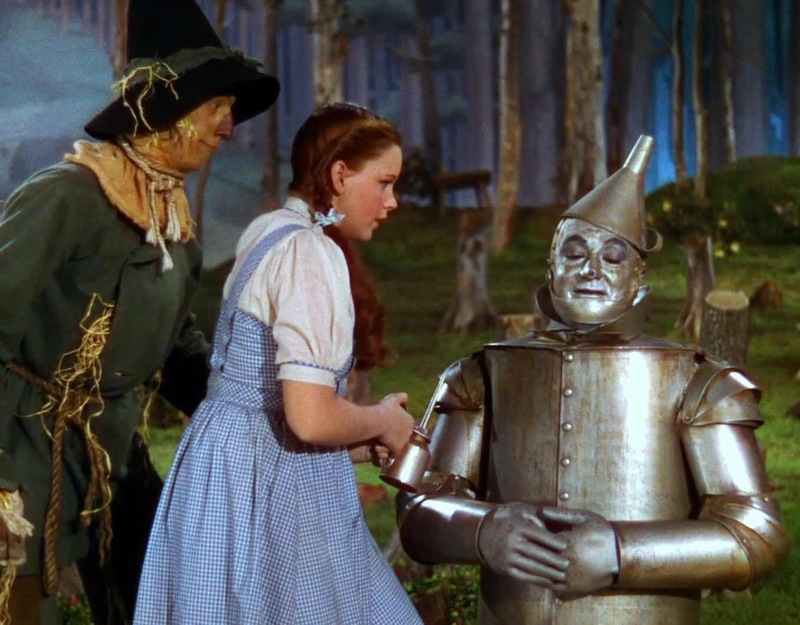 Do you remember the heart-less Tin Man, one of Dorothy’s faithful companions on the yellow brick road to Oz? Despite the lack of a crucial part of his anatomy, he could, with some regular oiling, just about function ok. This (naturally) came to mind recently with Facebook, Microsoft, and Apple launching new super-functional chatbots and other assorted automated assistants. You could easily be forgiven for thinking that before long we’ll all be spending much of our time talking to computers when we want to get things done. But I can’t help feeling that the obituaries may be being written before the breathing has stopped – because if anything, as customer experience becomes more computerised, then heartfelt human interactions are going to be more important than ever. Imagine the scene. It’s a mildly sunny April morning, and you’re walking through the busy streets of Soho on the way to work. Your eyes are heavy from a late night and an early morning. You need coffee. But where to go? The choice is endless, and you notice a flurry of advertising boards ready to lure you in. As you get closer, you see these two. 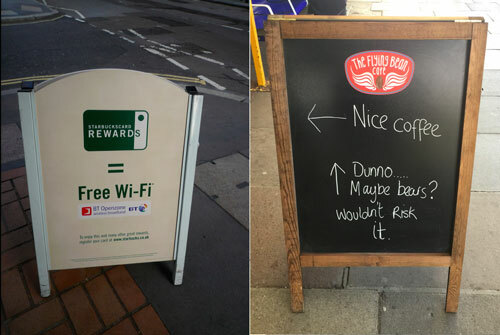 Signs like the one on the right give us something different from reward schemes and identikit experiences. We love them because we know there is a person behind it, an individual who’s decided to do something differently from everyone else, something that hasn’t been dictated or created by a branding team based at a business park HQ somewhere in Slough. They make us laugh, think, talk, and share. Starbucks (the sign on the left) is selling function, which has its time and place. The Flying Bean (the sign in the right) is selling smiles, something you’re far more likely to build a deeper connection with. This particular human touch didn’t make my journey quicker, give me a more comfortable seat, or aid me in my attempts to win the elbow battle for the arm rest with my fellow commuter. 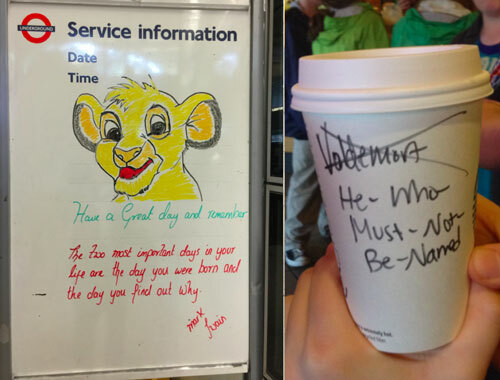 But it did make my journey better, and made me, and the whole of the carriage, smile. It was a brilliant start to the day, and most of us got off the train with a greater spring in our step. Customer experience is all about how you make people feel, and the two sides will deliver this in different ways. Siri’s poems aside, automated assistants will be superb as getting the functional basics right, doing simple things quickly and efficiently, and making sure little things don’t go wrong. Much like the Tin Man, it’s possible for companies to provide a functional customer experience with regular cursory maintainence. But function will only stop customers frowning, whereas hearts and humans can make people happy. Great customer experiences, now and in the future, will need both of these. Thank you for reading this article, I really hope you enjoyed it. If you did, I’d love you to subscribe to my blog at johnjsills.com/subscribe to get new thoughts sent to you on an infrequent basis, and find me on twitter @johnJsills. Great insight, as always, John.